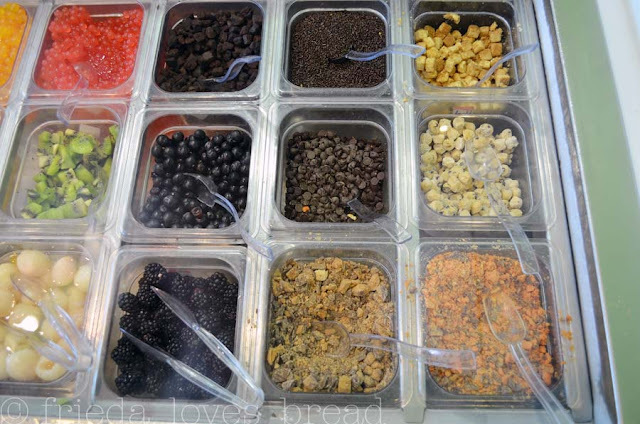 Frieda Loves Bread: Win Free Yogurt for A Whole Summer! 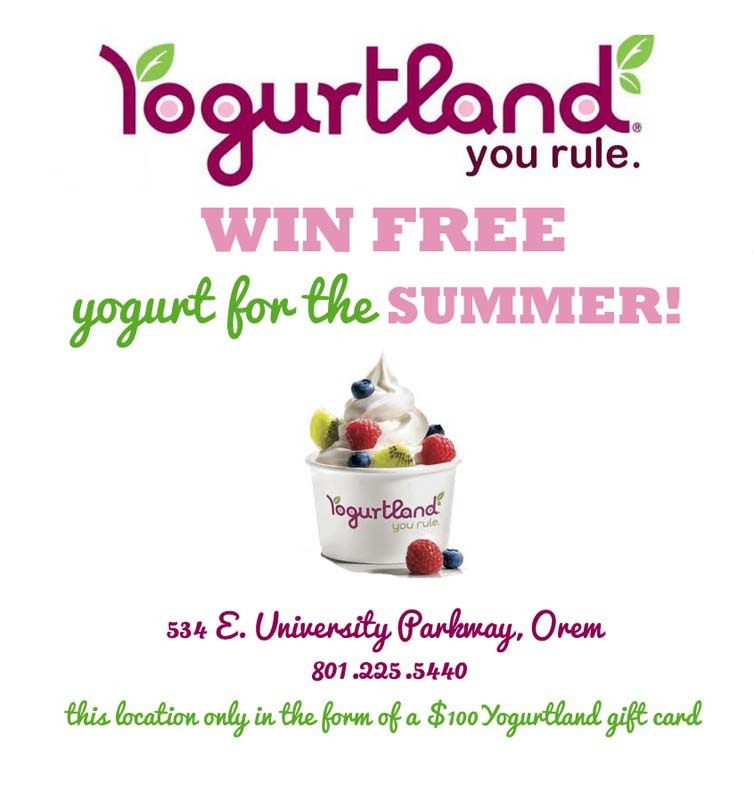 3 Win Free Yogurt for A Whole Summer! One of the fun things I get to do as a food blogger is try foods in different establishments. 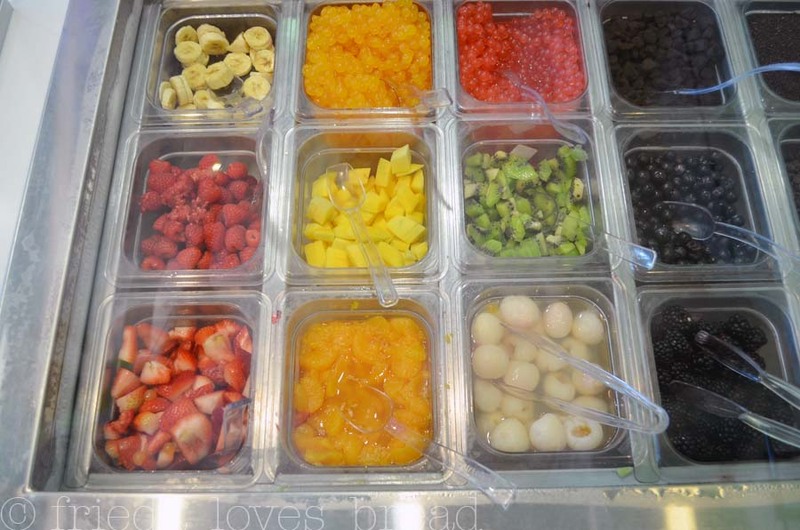 Who can turn down frozen yogurt? Not me! Yogurtland is in Orem, Utah ~ I love driving down into Utah valley ... it reminds me of my college days, which, coincidentally, is where I had my first frozen yogurt, ever. 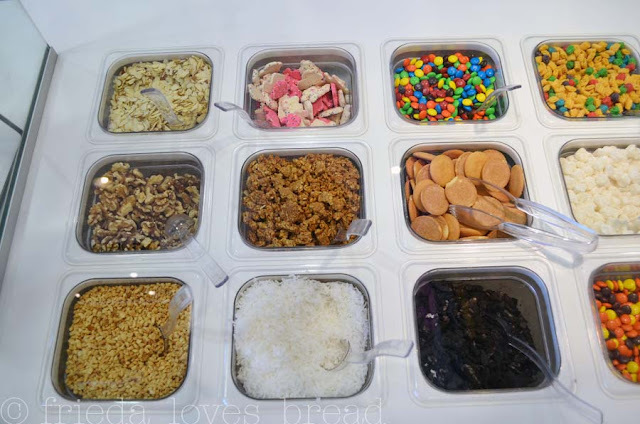 Back then, in the dark ages of frozen yogurt, you only had a couple of flavors to choose from. 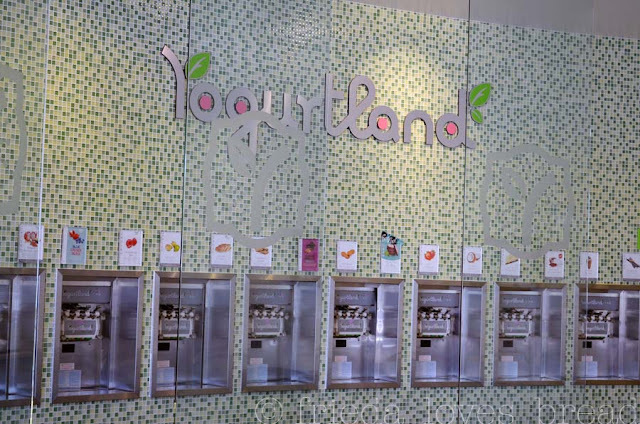 At Yogurtland, there are at least a dozen flavors to choose from, some are tart, and some are sugar free. You get to choose how much yogurt or come up with your own special blend! Back in the dark ages of frozen yogurt, there were not any mix-ins or add-ins. All you got was flavored frozen yogurt. Cookies, candies, or nuts .... oh, those frosted animal crackers take me back to kindergarten ... and give me some of those vanilla wafers, please. Ummmmm.... Someone snuck in the cookie bites in the fruit section ... You get to put as little, as much, or as many different combinations as you want! When you are done with your creation, you put your yogurt on the scale and pay by weight. That is way cool. 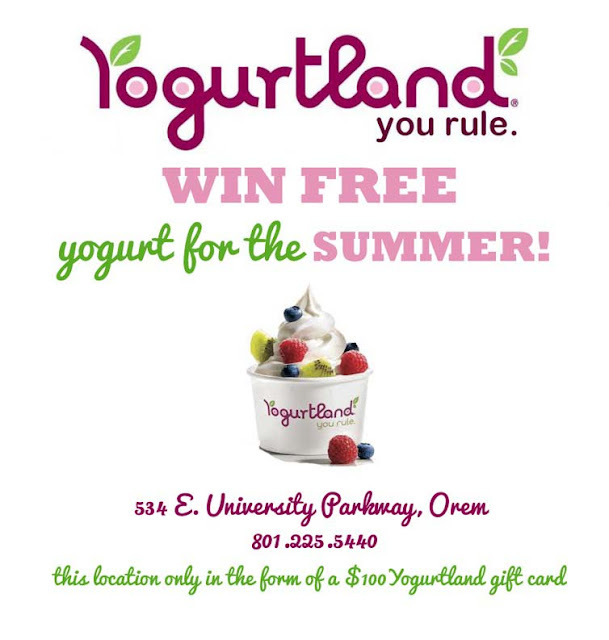 How would you like to win FREE yogurt for the entire summer? 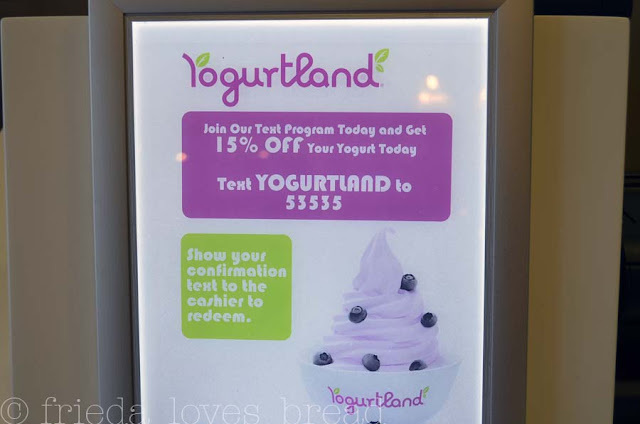 All you need to do is go to Yogurtland's FaceBook page, like the page, and enter through the giveaway tab. I'm not done ... here's a coupon for YOU to try this amazing yogurt. 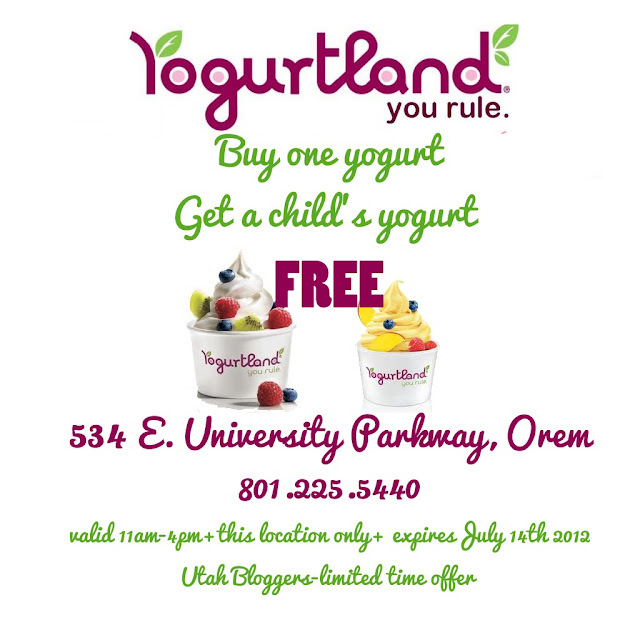 Buy one, and get a child's yogurt for FREE! But hurry, it only lasts for a short time ~ print the coupon and bring it with you the next time you visit. I had a great time creating my own yogurt. 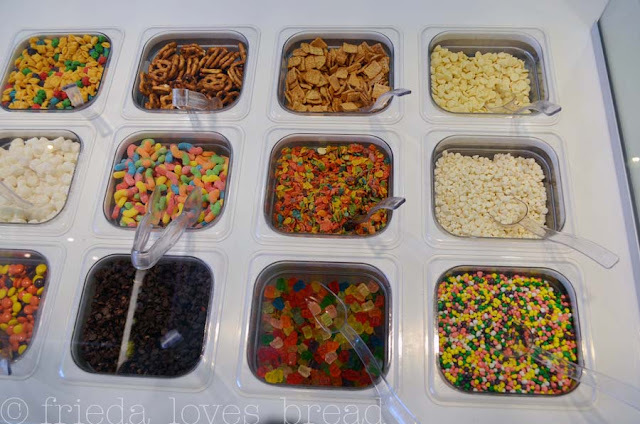 The yogurt was creamy, not too sweet and the perfect compliment to all my yummy toppings ~ I hope you give Yogurtland a try! I was invited with a group of bloggers to try this yogurt. I was given a free sample and not compensated in any other way for this post. All opinions are entirely mine. You just made me so homesick for America...and frozen yogurt! Looks D-E-L-I-S-H! We love Yogurtland. They have tasty frozen yogurt. My daughters favorite.